Healing Sense Bodywork is a massage therapy spa in Michigan. 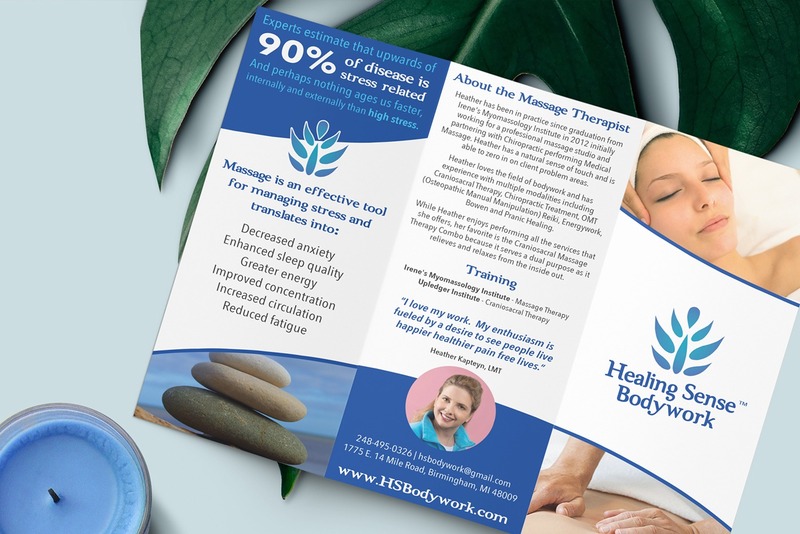 As they offer several types of massages to choose from, they wanted to be able to hand out an informational massage brochure to educate their clientele on the different massage styles provided, as well as the benefits and pricing of each one. The massage therapist, who was also the owner, wanted to include her background information, as well. 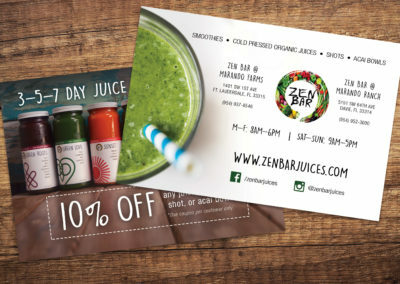 There was quite a lot of information that the client wished to include in the brochure. 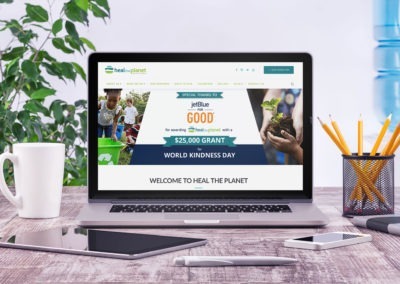 KARMA’s objective was to showcase all these details in a visually-appealing, easy-to-digest manner, which would not be overwhelming to its readers. 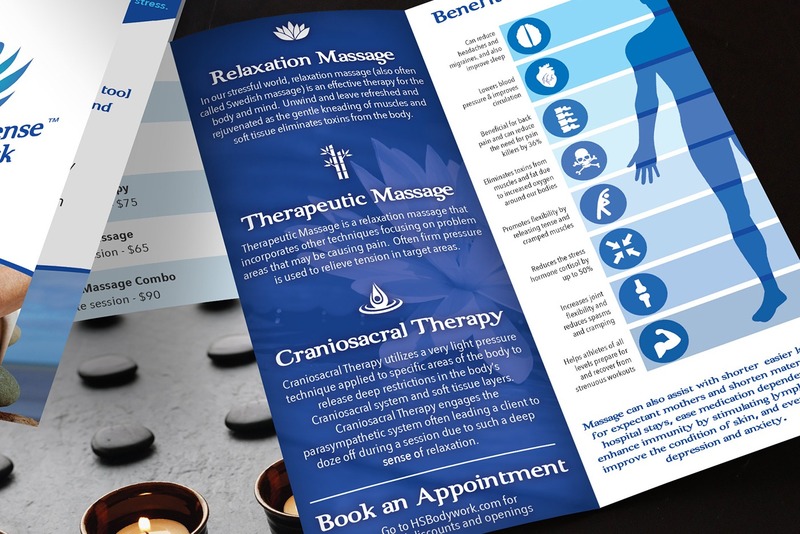 Instead of making the brochure packed with text, KARMA decided to create a diagram and picture icons to visually showcase the full list of benefits which each massage offered. We also formatted the brochure in a manner which made all the information easier to digest. 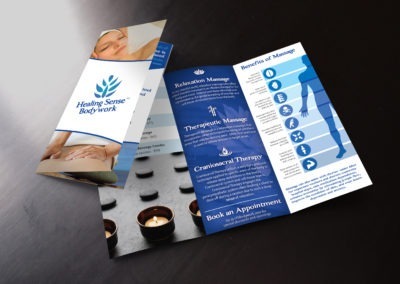 The final brochure included details on their massage offerings while staying in line with their “healing” brand message.